Wall Street, NY Stock Exchange, 9/11 Memorial, South Street Seaport, Brooklyn Bridge, Fulton Street Station - subway hub giving access to all areas of the city. 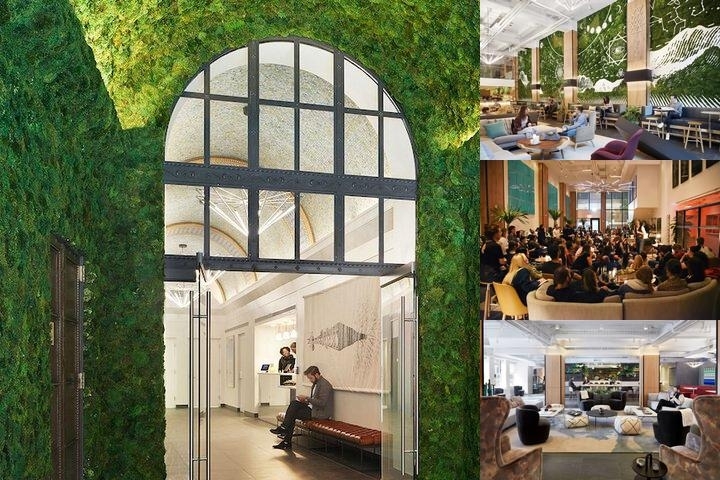 The Assemblage Hotel John Street is an all-suite property located in the heart of the Financial District in a 15-story building featuring 45,000 square feet of co-working space, social areas, 75 guest suites, and yoga & meditation rooms. The property is located next to Fulton Station in the heart of the Financial District. Fostering a sense of community, the main floor is designed to encourage face-to-face interaction between members and guests with lounge areas strategically placed for socializing, hot desks for collaborating and a plant- based elixir bar providing energizing and rejuvenating beverages. The second floor consists of work spaces, lounge areas as well as multipurpose conference rooms for meetings and private events with three additional floors that will house dedicated desk areas and private offices. Food & beverage services will serve plant-based elixirs and juices, breakfast, light lunch and snacks and an exclusive dining experience in an 18-person private dining room. We offer unique amenities such as complimentary Yoga classes, sound meditation sessions, and tea ceremonies to harmonize the mind, body, and spirit. All of our 75 Guest Suites feature fully equipped kitchenettes with gas range, microwave, refrigerator, tea kettle, French Press, and all of the basics from pots and pans to cutlery, glassware, and dishes to make you feel right at home. Individual reservations must be canceled by 4pm 48 hours prior to arrival to avoid a penalty of one night room and tax unless otherwise noted in group contract. JFK, LaGuardia, and Newark airports are all about 18 miles away. Standard fare is approximately $60 each way from any airport via taxi or ride share service. You can also access the hotel via public transportation from any airport. Breakfast is available in our Plant Cafe from 8am until 9:30am daily. We serve locally sourced Ayurvedic cuisine-buffet style. Average cost is $20 per person. Our hotel offers complimentary WiFi throughout all of our community space and in our guest suites. 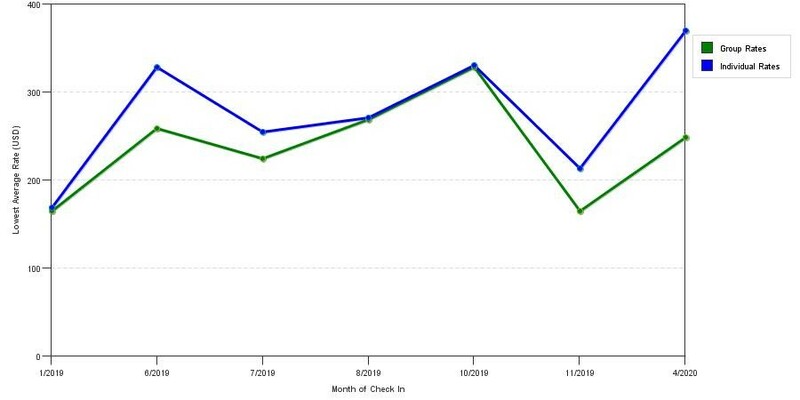 The graph above is fluctuations of room rates for both group quotes and the lowest online individual prices our rate checker could find at the time the group offer was entered. The lowest group or meeting displayed is 16.1% in the month of December 2018 and the highest average individual rate is $418 in the month of October 2019. This chart will show past seasonality and also project future months. If you are flexible with dates, you may want to consider staying at The Assemblage Hotel in a month when rates are lower.